With the creation of LES MILLS™ Virtual you can now offer your members the world’s best classes, at any time of the day or night. 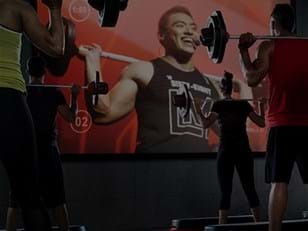 Les Mills group fitness is famous for providing the motivation, inspiration and results that gets members hooked. Virtual 2.0 workouts combine robust technology and high - definition action with Les Mills’ renowned programming. You get chart topping music and instruction from the world’s best talent - creating unparalleled virtual experiences that can launch members into group fitness and utilize your group fitness studios around the clock. 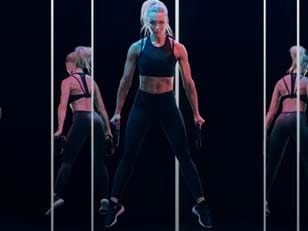 Not only is LES MILLS Virtual a cost-effective way to boost class capacity and make group exercise studios more efficient at off-peak times, it’s shown to increase demand for live classes too! 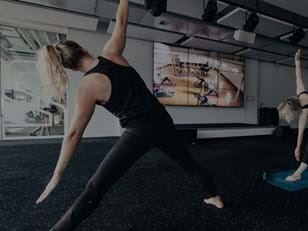 To bring the most out of the world’s best group fitness content, you need to create a studio environment that helps shape your member experience. The aim is to set up an inspiring studio that members want tobe in. Create a space that drives people to push hard and enjoy their overall workout experience. A fantastic environment that will motivate your members to keep coming back time and time again. We have amazing best practice examples and great partnerships that can help take the effort out of these decisions. Technology has improved and costs have reduced, your empty studio could easily be turned into one of your biggest revenue generators. When you become a LES MILLS Virtual customer, we provide you with a full suite of support documents to ensure that launching your LES MILLS Virtual solution is simple, easy and effective. A comprehensive introductory guide with full support documentation and a cost benefit analysis of equipment solutions. A success guide outlining targets and goals bespoke to your club, team training and scheduling assistance. Technical onboarding and access to our commission-free AV advice and installation partners. A complete 6-week launch guide with all marketing collateral, and ongoing access to fresh assets quarterly to keep members engaged with Virtual in your club.